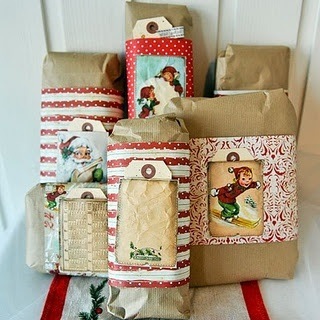 The Christmas season is really on. 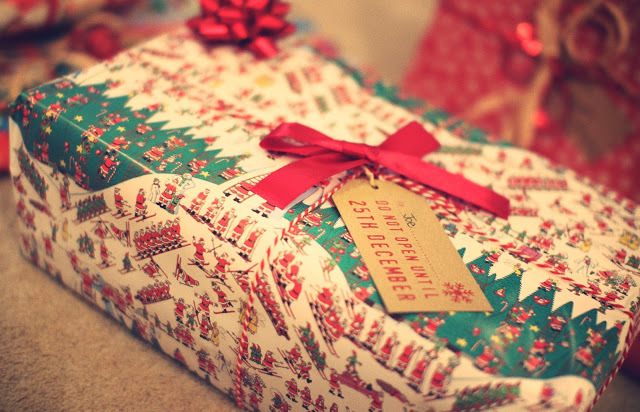 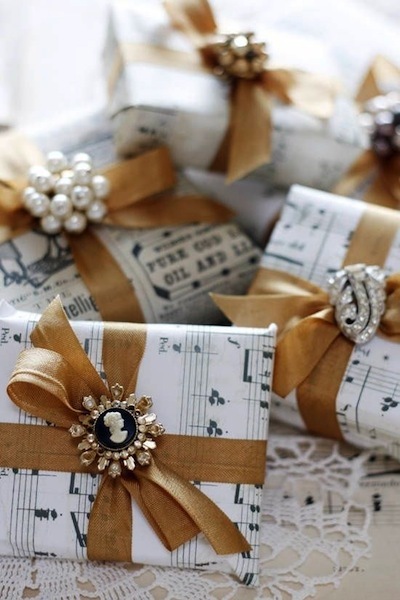 Now that we have the Christmas Tree and the table decoration, let’s give our presents some Vintage feelings. 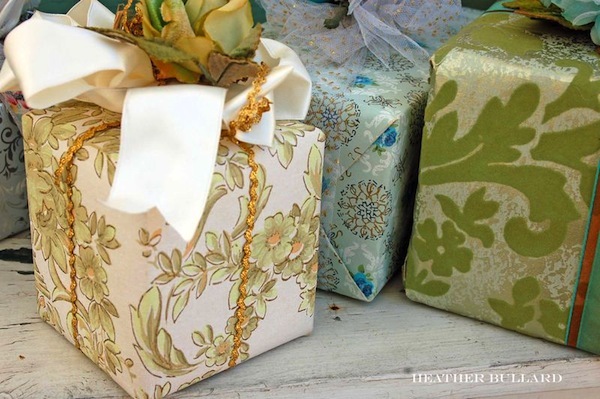 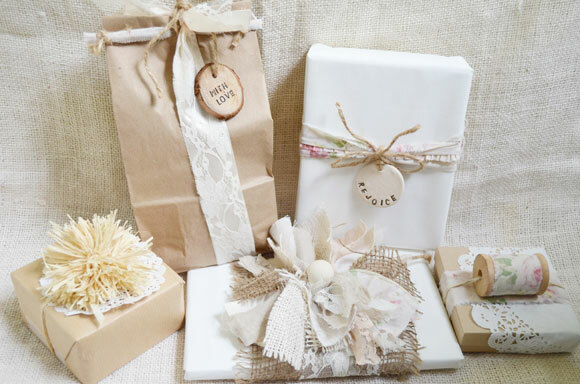 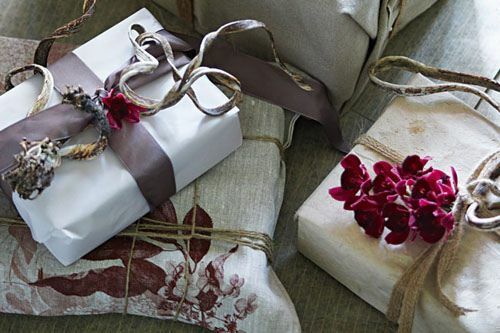 We all love presents and for me, it is really important to offer something that look nice, whatever is inside, the gift itself has to be beautiful, what a great pleasure when your family and friends will say wouahhh this gift is stunning! 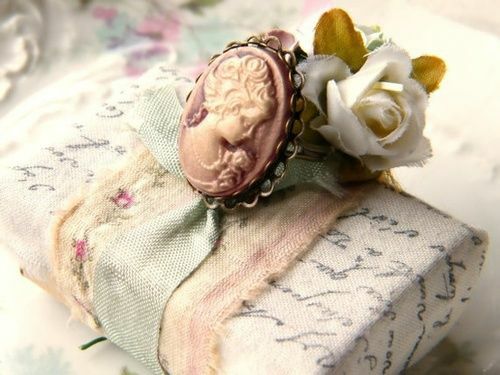 It is so great to make people happy, so this is the time to make some effort and be creative again! 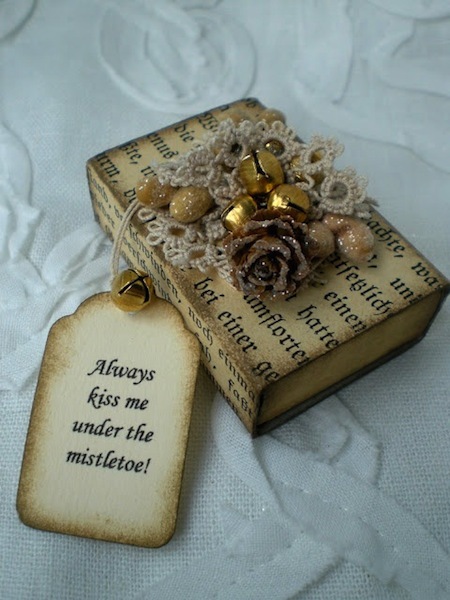 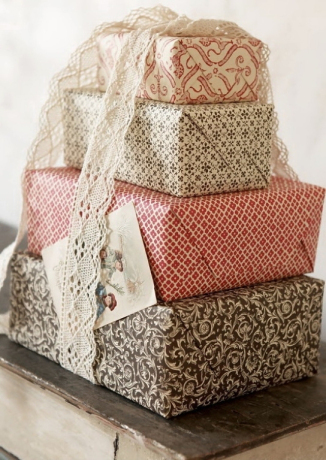 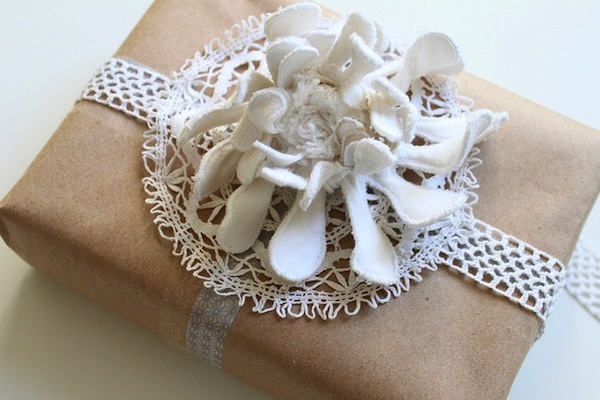 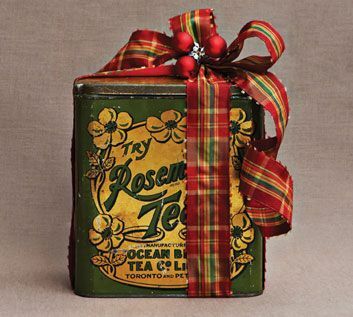 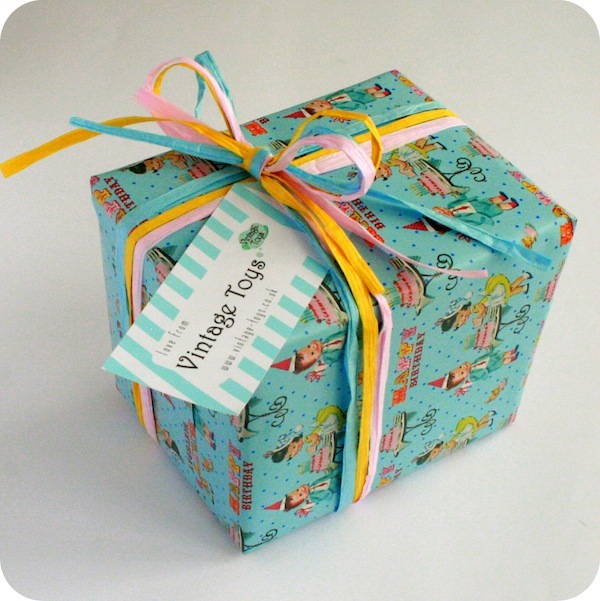 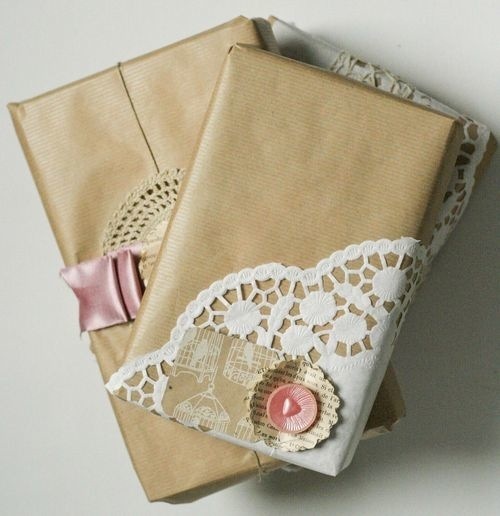 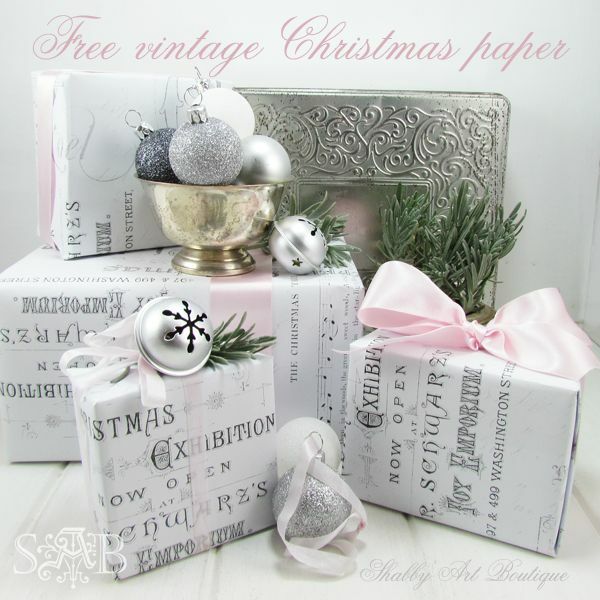 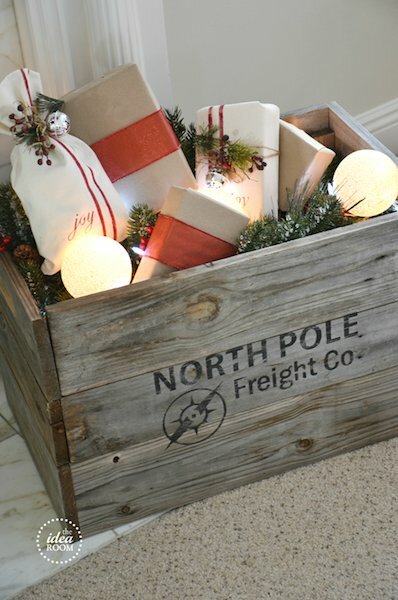 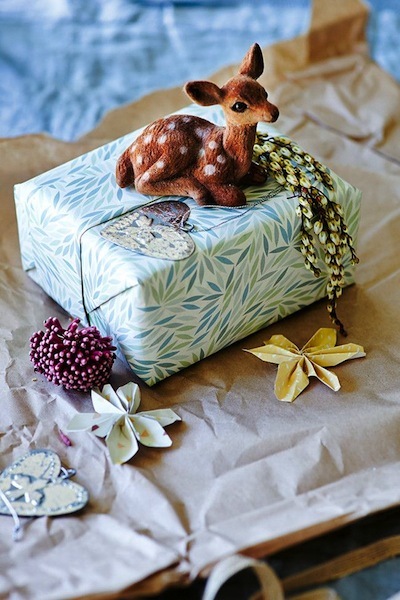 I love this old Vintage tin used as a gift box, with just a lovely ribbon and baubles, so simple, just beautiful! 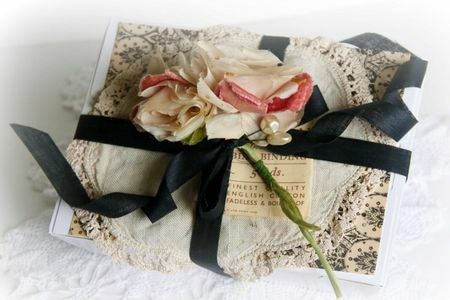 If you know very well the person, maybe you can more personalized the present you’re going to offer her. 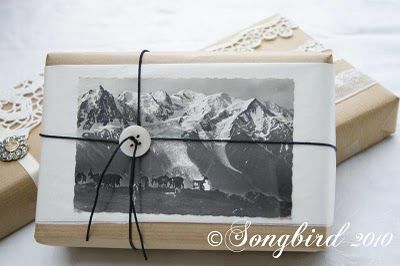 Let’s take an example with someone who loves the mountains, why not trying to find a Vintage postcard or picture about mountains and just add it on the top of your present. 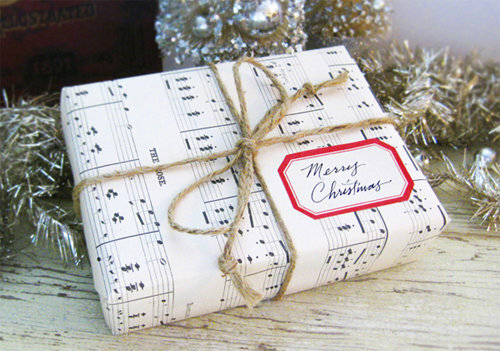 What a fantastic unusual gift! 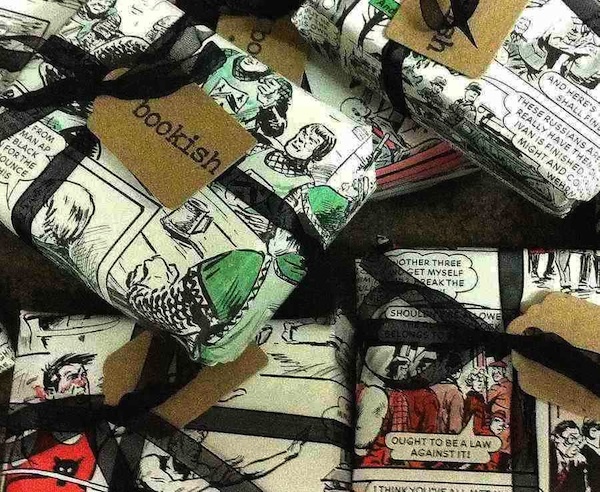 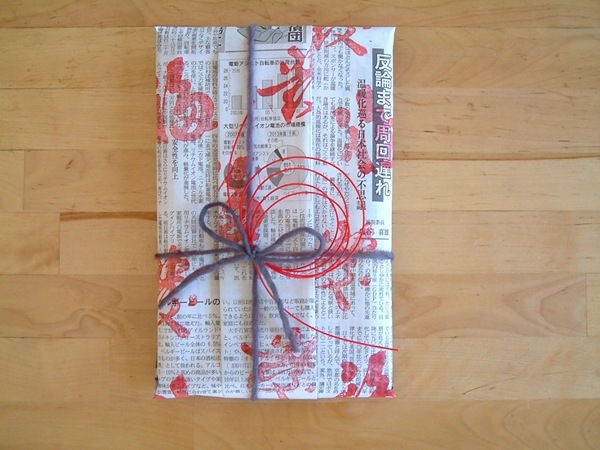 You have a Comics lover, buy on ebay a Vintage Comics, copy it and wrap his present with it! 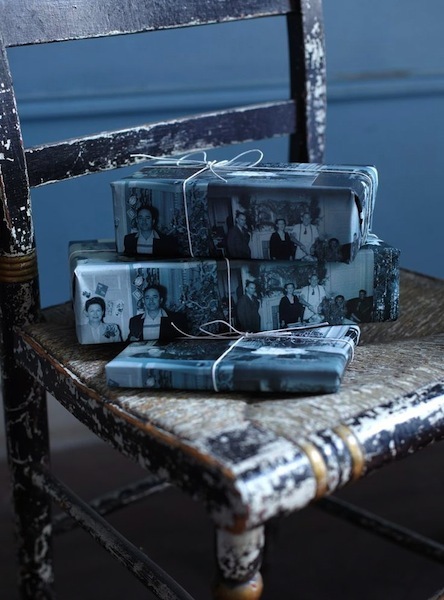 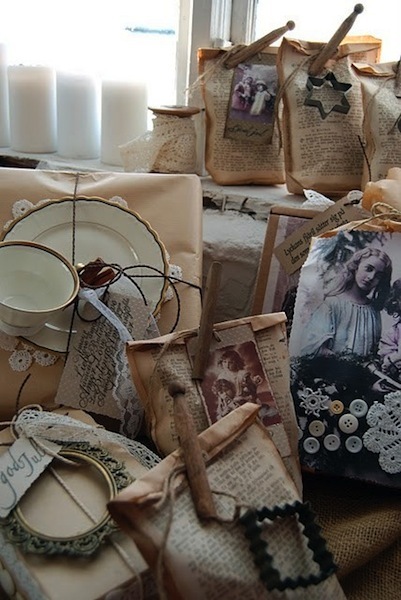 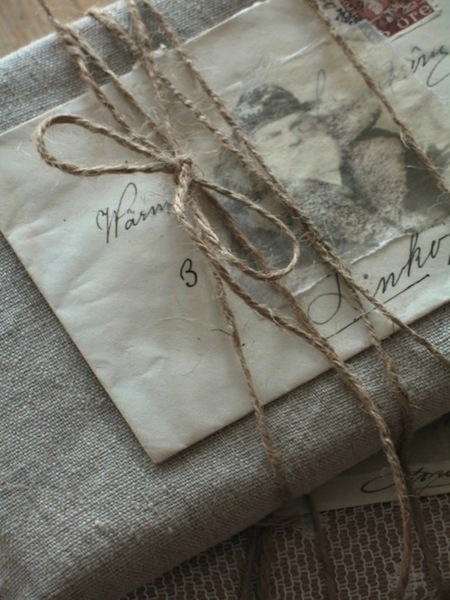 You can also use some Vintage comics, magazines or newspapers to do the perfect Vintage look. 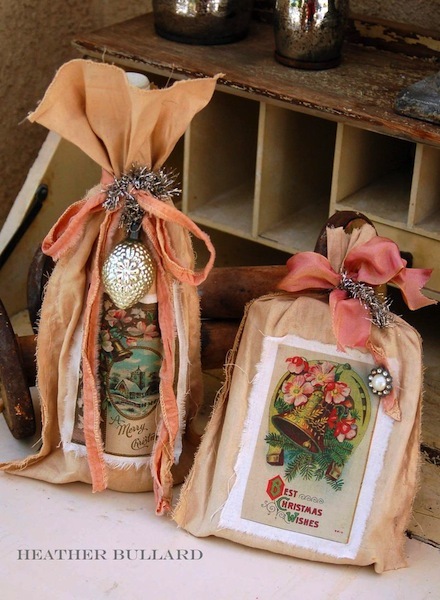 You have old fabrics in a cupboard, you don’t know what to do with them, take them out and make some bags to fill them, add a tag and you have your present! 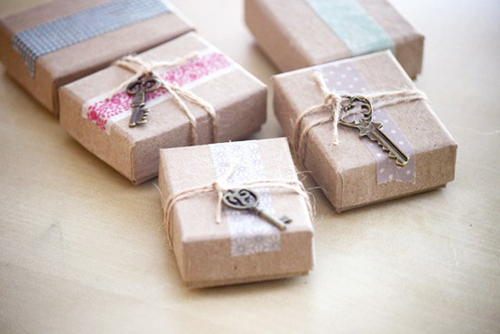 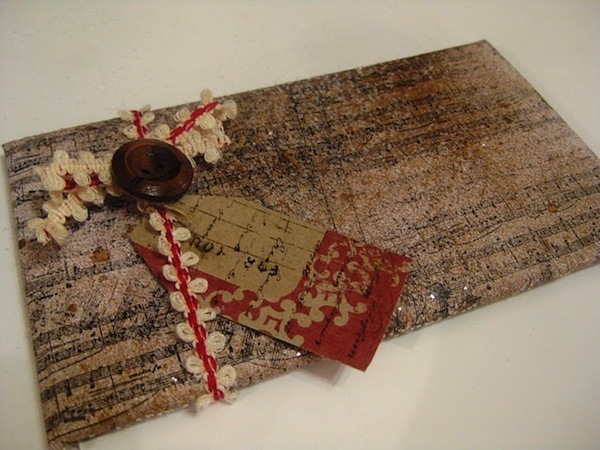 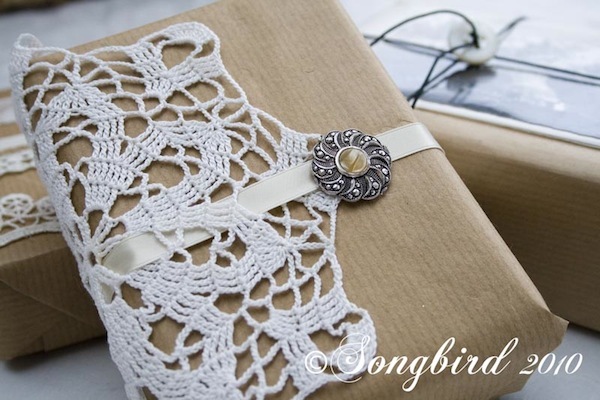 If like me you love those very old keys but you can’t find how to use them, wrap your gift and add one on each, they will look fantastic! 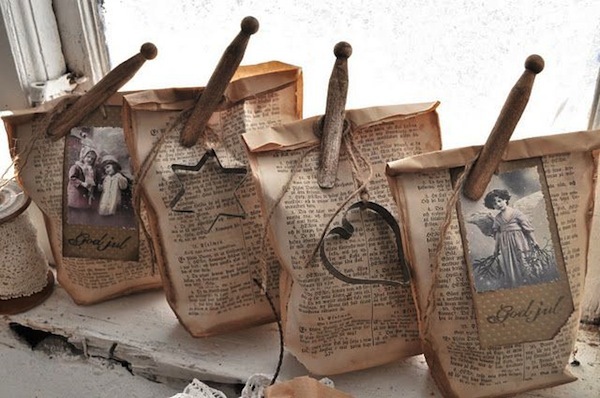 If you want to know other way to use them, come back later, I will have a post about it! 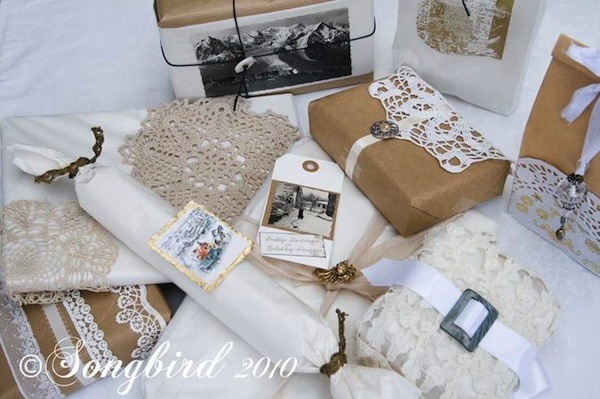 And if you want some more examples, have a look at my Pinterest Christmas board, you will find more than 700 pins about a Magical Vintage Christmas! 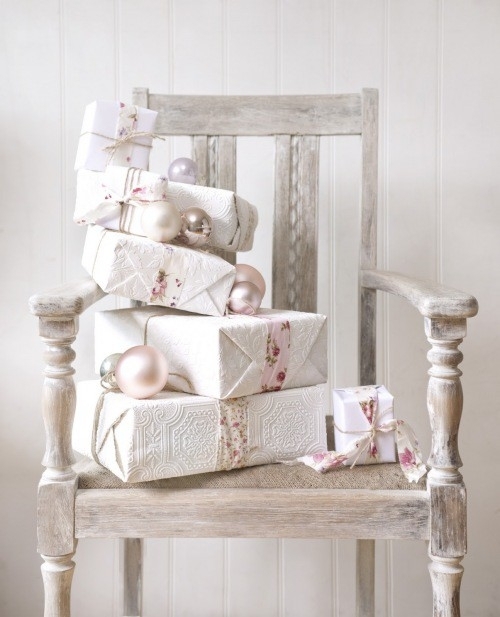 Come back soon for the Vintage outdoor and porch decorations!